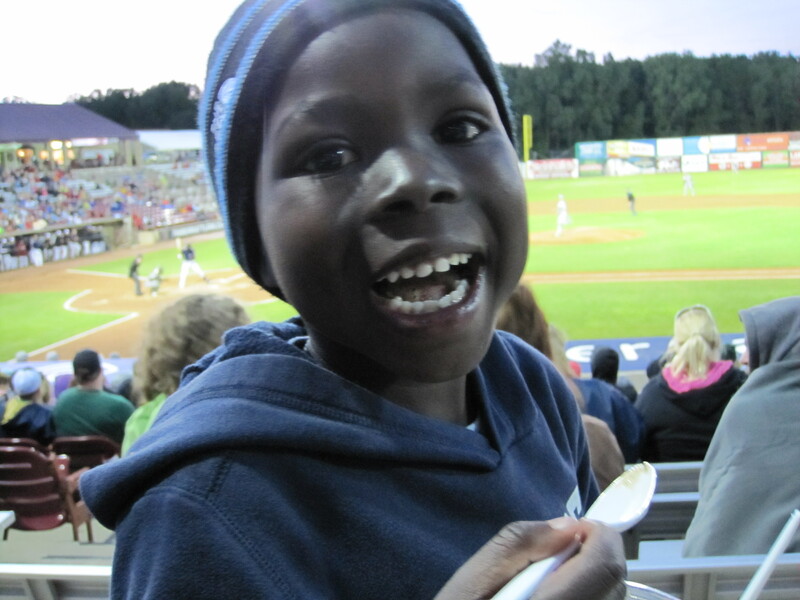 It may have not felt like summer with a cool 48 degrees, but it didn’t keep us from sitting through nine innings and eating ice cream! The weekends are filling up fast and I have no doubt the summer will fly by like all of the rest always seem to do. Most summers I go into with a list of things I want to accomplish, do, see or get done, but this year is different. I don’t have a set list of expectations or a bucket list, I just simply want to live in the moment and make memories. Lots and lots of memories! I want to fill our days with carefree time as a family that allows us to make last minute plans or be sporadic as opportunities arise. We didn’t sign the boys up for a lot of activities for that very reason. This summer we are keeping our schedule open to allow the time for picnics, grill outs, trips to the beach, bike rides, campfires, fishing, tenting in the backyard and whatever else may come our way! This past weekend was a perfect example as we were offered tickets to a baseball game a few days before. At the last minute we also decided to throw in tailgating before the game to really give the boys the feel of Wisconsin baseball. Not to mention it was complete with fireworks after the game, which they both loved! As much as I am usually into planning every week out and sometimes days, this summer I am going to try to let go a little. Let God write the story and simply enjoy basking in the joy and sunshine. I want to be truly present to my family and not caught up in the busyness of life. Spend more time enjoying the moment, even if it means the laundry is piling up! Thank you so much for this reminder. The laundry is one of the biggest things that get neglected at my house. My weekends can get full of things that take me away from the kids. I really hate this since I work full time on top of that. The days I am home I am just trying to catch up. Thanks for reminding me that we need to slow down and enjoy our children. Sometimes we just need to let the laundry go. It’s a delicate balance that I really think that we have to leave to God to orchestrate for us. Enjoy summer! The temperature will warm up before you know it!